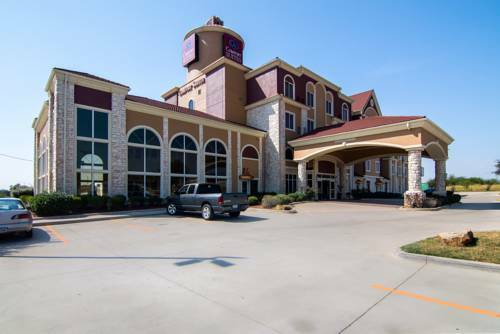 The Comfort Suites in Gainesville, TX offers more of the extra space you need with all the extras you want. Our smoke-free, all-suites hotel is within walking distance to the North Texas Medical Center and just 5 minutes from the Gainesville Municipal Airport, the Civic Center and North Central Texas College. We offer free WiFi, free hot breakfast, a business center, fitness center, indoor heated pool, outdoor parking and laundry facilities. Each guest suite features an HDTV, convenient AC and USB outlets, a refrigerator and microwave. Also, earn rewards including free nights and gift cards with our Choice Privileges Rewards program. 100% Non-smoking hotel. No pets allowed.